Things NOT to say to your kids when you’re coParenting. 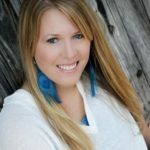 Stacy Tornio is a writer living in Wisconsin, along with her kids, two dogs, and a sassy black cat. Parenting after divorce isn’t easy. Emotions can run high, which can get the best of anyone from time to time. However, before you catch yourself saying things to your kids that you probably shouldn’t, take a look at this list. Even though you might think these things, they are probably better left unsaid. This way, your kids don’t have to be brought into an uncomfortable situation, and your parenting after divorce situation can stay positive. Does it feel like you’re always the one shelling out money for school events, extracurriculars, and other needs? As tempting as it might be to say this to your child, it’s best to avoid it at all costs. If it’s truly a problem, then you need to have a conversation directly with your coParent. You don’t want to bring your child into the middle of a tough situation, especially when money is involved. It shouldn’t be their responsibility to worry about it. “Whose house do you like better? This question should go on the never list, as well as anything else that compares two parents. (Who makes better chili? Who do you have more fun with on the weekend?) You just never want to make things feel like a competition. Even if you’re joking around, your kids will know that you’re really trying to dig out some details. Questions like these will make them uncomfortable. It’s never a good idea. “Do you really think your mom is going to show up? Whether it’s the mom or dad who has a history of being late or not showing, it’s not the job of the coParent to point this out. It will definitely come off as rude and judgmental. Plus, it’ll point out an uncomfortable fact that your child is probably trying to overlook. Try to avoid any and all statements that will come off as putting the other parent down. Actions speak much louder than words, and your words just aren’t necessary in this situation. This is a direct way of trying to get details on a coParent’s personal life, but there are many other ways to do it, too. Don’t do any of them. Even if you suspect your ex is dating someone and you had both agreed to talk about it together first, just say no to ask your kids. If you really are curious, then just ask. Sure it might be uncomfortable or you might not be ready for the answer but have the guts to be direct. There are ways to talk about it with you coParent without trying to sneak information from your kids. Now this one is important. No matter how big or little the example may be (“Don’t tell your dad I let you stay up late. ), it’s not a good idea to ask your kids to keep secrets. This is a common and easy mistake to make. 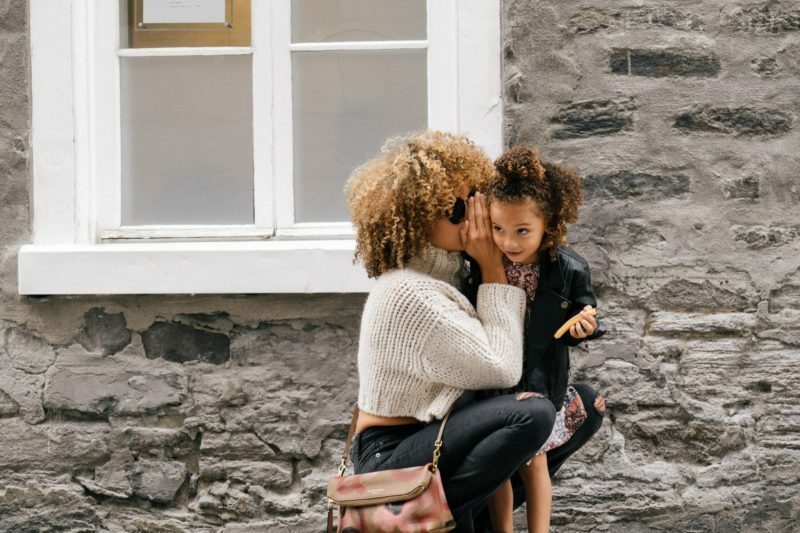 Even parents who are together will say in a sneaky and friendly way, “Oh, don’t tell your dad.” But in a coParent situation and parenting after divorce, you can’t encourage secrets. If you find yourself saying this one, adjust your language. But never ever ask your kids to cover up for you. And along those same lines, if they do say something to your ex that you don’t love, don’t scold them for saying it. Remember the first item on the list about not talking about money? This goes right back to it, and this time it’s worse because it hints at things like child support and alimony payments. This shouldn’t ever be the responsibility or worry of your children. Leave them out of it. Even though it might be tempting to talk about the spending habits of your ex, let it go. It’s not for you to talk about or judge. Making it a topic that you discuss with or around your children should never even be a possibility. Also, keep in mind that kids are smart and hear you talking/complaining to family and friends. Don’t be talking about this topic to others when your kids are anywhere in the vicinity. Better yet, let it go all together! This one is an easy one to slip out when talking to family or friends, but it’s not useful or helpful to anyone. We all have our issues and ways that we get along (and not get along) with other people. Try not to focus on the negative. If you find yourself thinking, “Ugh, I’m glad I don’t have to deal with that anymore,” or something along those lines, then just keep it to yourself. As you’re able to stop making those comments out loud or even to yourself, it’ll be much easier to find your own serenity now. Stacy Tornio is a writer living in Wisconsin, along with her kids, two dogs, and a sassy black cat. She's written more than 15 books on topics like gardening, animals, and ideas to get kids and families outside. She and her two kids love to plan vacations in and around national parks.